Description: The H2 4-16x42 mm model is the perfect choice for the avid hunter, offering a wide range of applications from precision long range shooting to big game and varmint hunting. Its high definition (HD), precision-ground glass is multi-coated for superb low-light capability and glare resistance. The T4 reticle has holdover for precise shots at extended ranges. The low-profile turret is finger-adjustable. 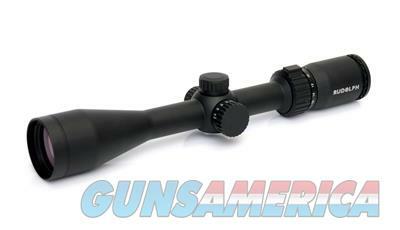 The riflescope is resistant to a lifetime of field use, heavy recoil, and harsh vibration.